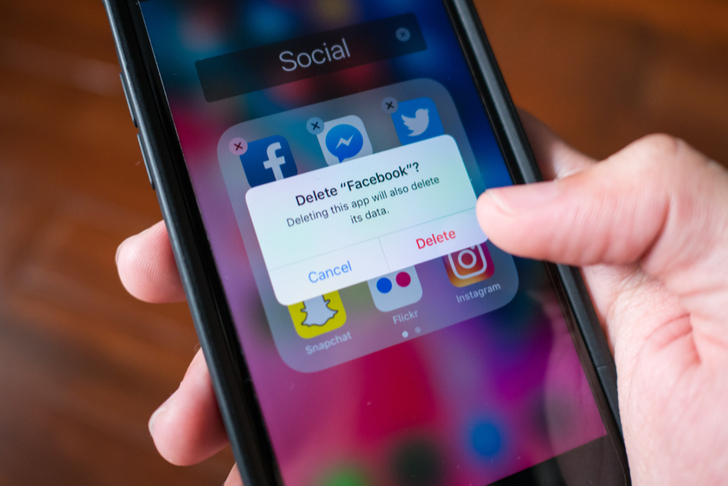 Facebook (NASDAQ: FB) is one of the few social media stocks that technology investors should hold in their core portfolios. Still, diversification within this subsector offers a margin of safety, which means considering other stocks is also a good idea. Besides, after significant selling in Facebook stock since summer 2018 has sent the stock to a low of $123, investors have started opening up to holding other instant messaging-based companies. Facebook’s underperformance is a risk factor for investors in 2019. Negative media coverage that undermines the site’s security and privacy issues could convince addicted users to finally quit the site. Those users may opt to use Facebook’s WhatsApp or Instagram, but that will still hurt the company’s profits. WhatsApp is not making much revenue and Instagram ads have a sharply lower profit margin than those posted on the News Feed. So, how should investors diversify away from this networking giant? Here are five social media stocks to buy instead of Facebook. Twitter (NYSE:TWTR) is stuck in a prolonged trading range of between around $26 and $34. Every time the stock drops to the $26 range, it rallies. Likewise, when TWTR stock is $34 – $35, traders lock in profits. At a $25 billion market cap, TWTR stock is 19 times smaller than that of Facebook’s $481 market cap. At that market price, investors get a micro-blogging services firm that is becoming more appealing to advertisers. 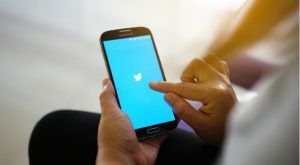 Cleveland Research wrote that encouraging feedback from advertisers would justify an increase in revenue estimates for Twitter. At a presentation at the Morgan Stanley conference, Twitter said it was cleaning up its user base. DAU and MAU numbers no longer matter so much when those activities just measure bots and spammers. Instead, Twitter will baseline its measures against revenue generation per user. For the investor, that is a welcome change in metrics. Advertisers are more than happy at the changes by TWTR. They will become the primary destination site for starting online conversations on products. The audience, mostly on a mobile device, will see and interact with the chatter, strengthening the advertising push. Snap Inc (NYSE:SNAP) started the year at around $5, but SNAP stock has risen steadily to over $10.70 on the markets recently. The company reported strong Q4/2018 results on Feb. 5. Its introduction of advertising video ads that users could not skip added to the bottom line. Getting users to view ads in exchange for the free use of Snap’s messaging and camera features is a more than fair compromise. SNAP stock investors liked the ad-friendly shift: SNAP stock is holding up at the $10 level and could head higher for 2019. Facebook clearly has a problem monetizing and growing Instagram if Snap continues to draw in more users. Snap might even win back the users who left to Instagram, following Snap’s disastrous app update. In the fourth quarter, Snap reported record revenue of $390 million, up 36% from last year. It reduced its operating losses, net loss, even after DAUs were comparable to last year’s levels. DAUs were 186 million, similar to the 187 million reported last year. Investments it made in 2019, especially in the area of long-term scalability, will pay off for the remainder of the year and beyond. As more advertisers shift some funds allocated from Facebook to Snap instead, Snap may achieve profitability sooner. And when that happens, SNAP stock will continue its climb. At a 14 billion market cap, SNAP stock is smaller than TWTR stock. That could change if SNAP recovers back to its 52-week high of $16.85. Weibo (NASDAQ:WB) bottomed in the low $50’s in January and attempted to rally back to the $75 level, only to close recently at $58.70. It has a market cap of $12.8 billion, while WB stock is valued at a 23.8X price-to-earnings ratio. Investors grew nervous following its fourth-quarter report. Worries over no U.S. and China trade deal for the week of March 18 – 22 also added to the selling pressure. 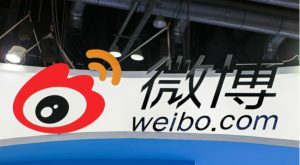 Weibo reported MAUs of 462 million in the fourth quarter. Advertising and marketing revenue rose 25% year-over-year to $417 million. DAUs rose 28 million from last year to 200 million. The company guided Q1 revenue of between $395 million – $405 million. This is within consensus, but because Weibo did not guide above it, WB stock sold off. The leading social media in China captured a higher market share in digital advertising budget. This enabled the company to report a solid 28% year-over-year increase in net revenue of $481.9 million. Weibo controlled cost and expenses too. Costs rose to $298.8 million, up from $232.2 million. Cost increases were due to higher revenue shares to live broadcasters. The higher personnel-related costs and expenses will pay off in future quarters as the staff brings in more business. Sina Corporation (NASDAQ:SINA) is another Chinese media stock investors should consider over FB stock. It describes itself as a leading online media company serving China and the global Chinese communities. Sina.com is a notable digital media network, while Sina mobile has a mobile portal and mobile apps. Weibo is the social media enabler for the firm. The company reported Q4 results on March 5. Revenue grew 14% from last year, helped by a 14% year-on-year increase in ad revenue, to $484.3 million. Gross margin improved to 79%, up from 75% last year. 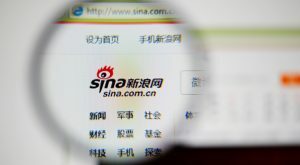 Sina spent more for the year, although some of the increase is due to accounting changes and goodwill and an acquired intangibles impairment charge for its non-core business line. The company ended 2018 with $2.3 billion in cash and cash equivalents. This fell from the previous year, due to a share repurchase program and a repayment of convertible senior notes. Sina forecasts revenue growing at 18% – 25%. Compared to its 33x P/E, the PEG of 1.56X is comparable to Facebook’s 1.3X. But China’s fast-growing internet community will drive Sina’s audience growth for years to come. Although Alphabet (NASDAQ:GOOG, NASDAQ:GOOGL) has no real pure play in social media, investors cannot ignore its giant presence as a search engine, which makes it notable among social media stocks. Google is the gateway search engine to get to other social media sites. At $821 billion, the company is twice as large as Facebook by market cap. And for good reason. Alphabet abandoned its social media hopes when it closed down Google+. Now that it is refocusing its growth on advertising revenue on the search engine, investors should consider holding GOOG stock. Alphabet announced a Google game service — Stadia — last week that could draw a big audience. Should social media, which involves sharing content, posting updates and messaging, bore users, gaming is the next area of continued online activity. Stadia will allow games to run on Google servers. The ecosystem will allow users to play games and also watch them. YouTube could become the means by which users are a spectator on the platform. With YouTube becoming even more than just streaming content, the value of the platform increases. Investors could invest in that value-add by buying GOOG stock. As of this writing, Chris Lau did not hold a position in any of the aforementioned securities. 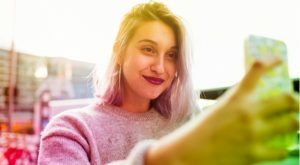 Article printed from InvestorPlace Media, https://investorplace.com/2019/03/social-media-stocks-to-buy-instead-of-facebook/.